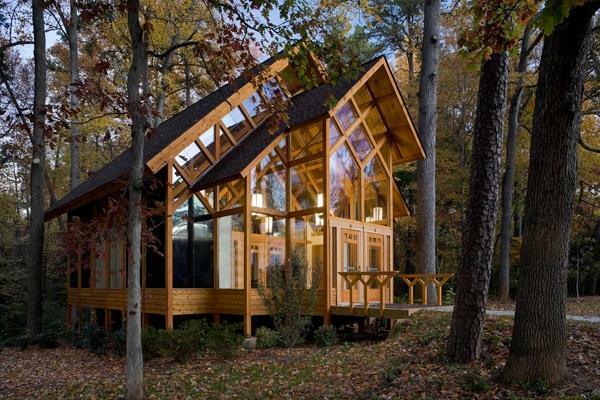 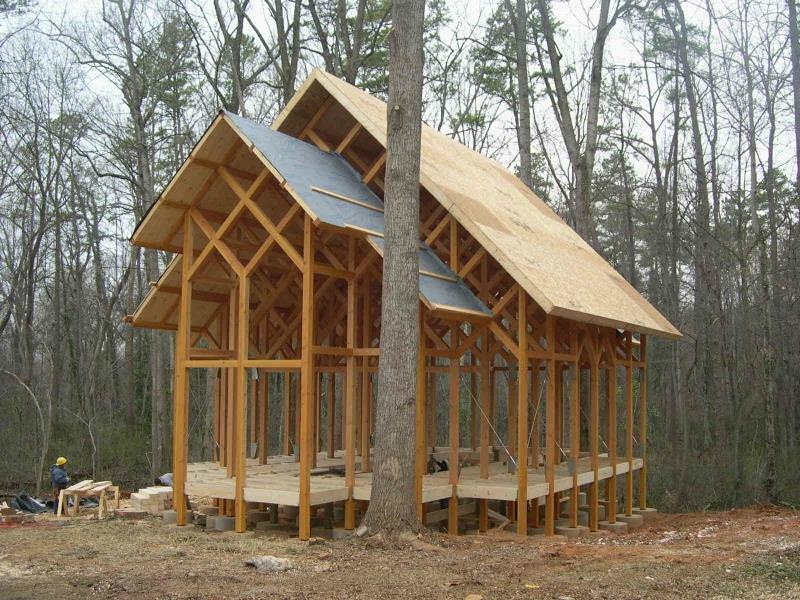 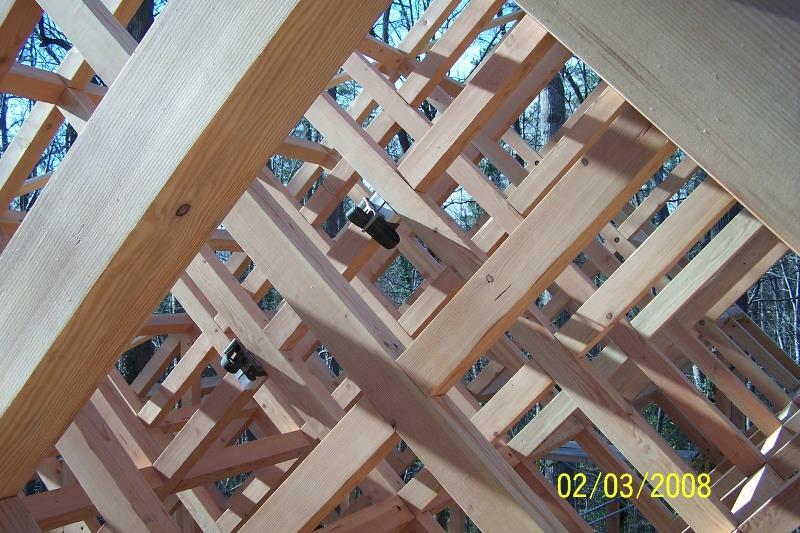 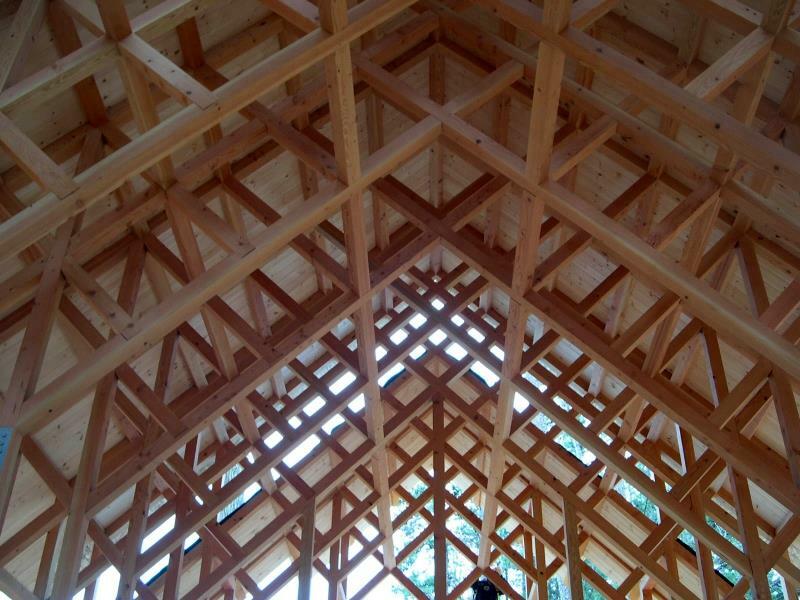 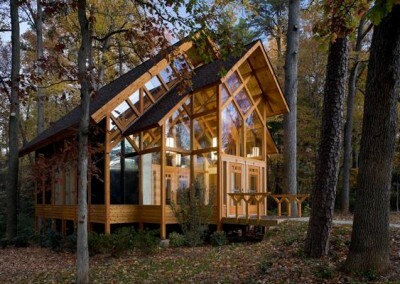 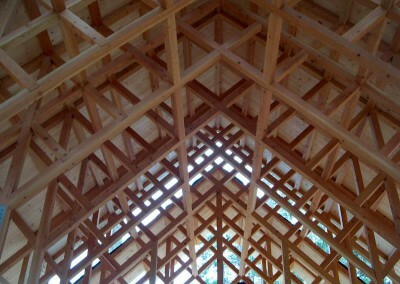 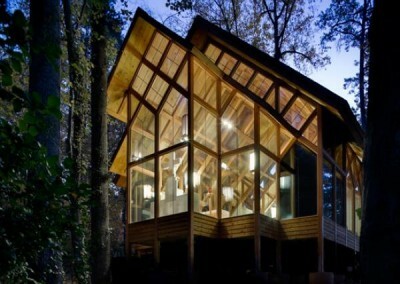 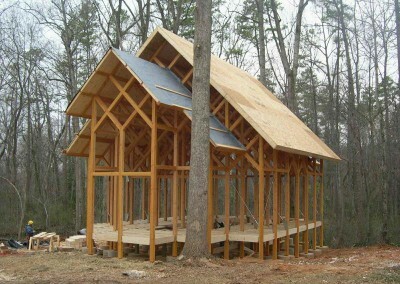 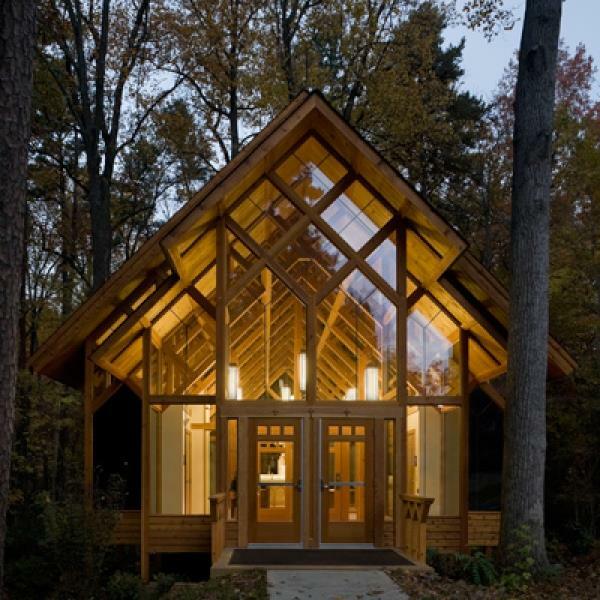 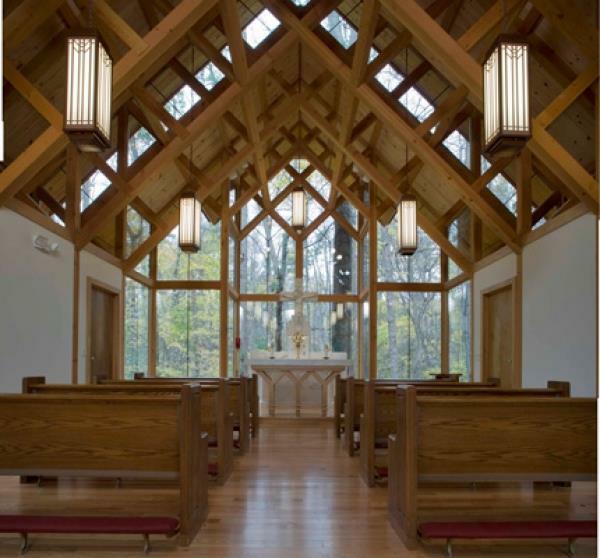 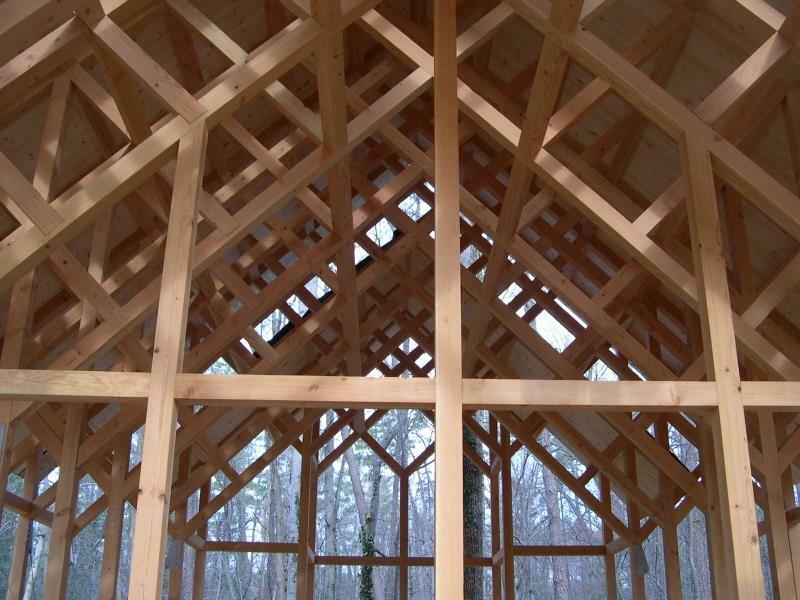 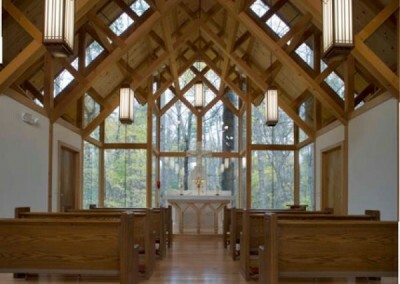 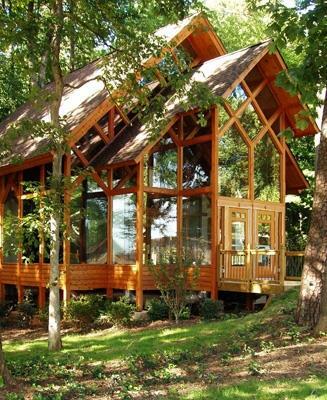 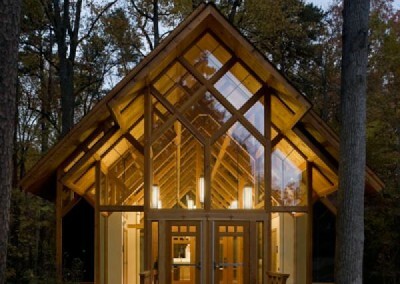 Belmont Abbey | Lancaster County Timber Frames, Inc.
A chapel in the woods of south-central North Carolina (a stone’s throw from Charlotte) is opened up to the outside with great expanses of glass. 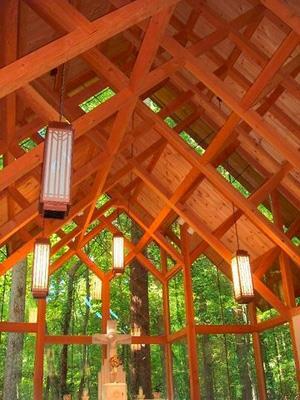 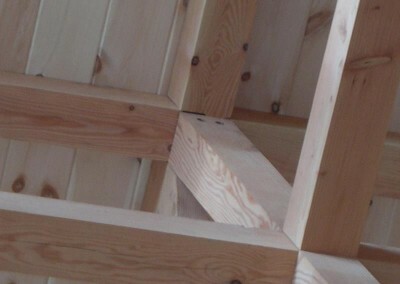 The slender interior columns bifurcate into an orderly tangle of diagonal timber members, mimicking the tree branches outside. Since there is so much glass in this structure, a system of custom-fabricated stainless steel tie rods was incorporated to help the structure resist lateral forces. 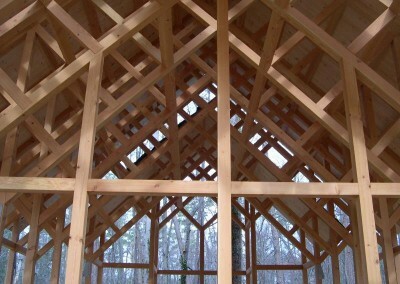 General Contractor: Spectrum Building Company Inc.